By Vanessa Chalmers in The Daily Mail. 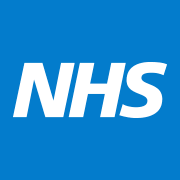 The NHS drug regulator has been branded ‘inflexible’ when it comes to approving medicines for rare diseases in a report calling for it to be reformed. The National Institute for Health and Care Excellence (NICE) gives guidance on how to improve health care, including advising on how cost-effective treatments are. But MAP BioPharma, a company which provides insights into the pharmaceutical market, claims the watchdog works unfairly towards patients with rare diseases. It found that 13 per cent of rare disease medicines make it through assessments, compared to 68 per cent of medicines for common diseases.